Olympia is an outstanding PRE mare with fully imported bloodlines. She is by our National Champion stallion, Mas-Martillo (imp Spain) and out of Amira II (imp Spain). 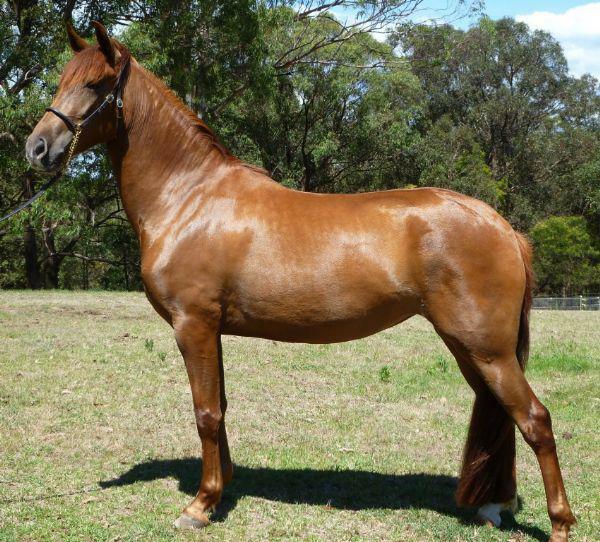 Olympia is a statuesque mare with a gorgeous head and front. She is the result of the highly desirable Modern/Carthusian cross and has the look-at-me presence and true PRE movement that will stand her out from the crowd. 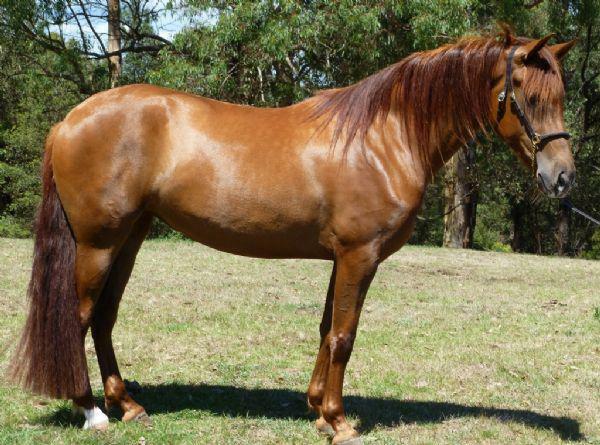 She is more her sire's red chestnut colour than her mother's burnt chestnut shading and has matured at approximately 15.2hh. With her people-loving nature, she is a pleasure to do anything with. As her bloodlines on both sides of her pedigree are new to Australia and New Zealand, she would be a valuable addition to any PRE stud. 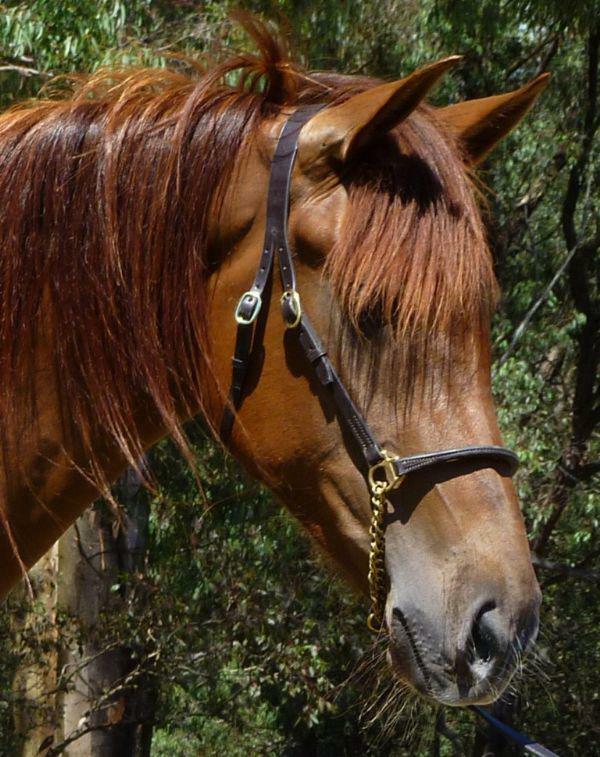 Please contact us for more details on this exceptional mare. 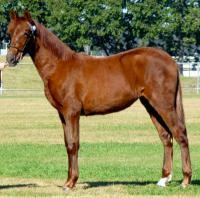 Video of Olympia as a weanling and a video of Olympia at our Open Day on 13 May 2012.